With over 13 years of experience, Scott has provided innovative tax advice to a broad range of clients, including private and public corporations, partnerships, trusts, and individuals (residents and non-residents of Canada). Scott has also considerable experience in entrepreneurship, management, business planning, financial analysis, operations, and decision analysis. Scott has the breadth and depth of experience needed to quickly understand entrepreneurs’ businesses and craft the most suitable solutions. Rasenberg-Group Limited comes up with solutions that are sophisticated yet practical. That is their strength. Scott was elected to California Gold’s board of directors on February 17, 2016. 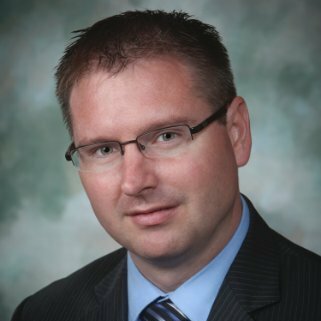 He holds an Economics degree from the University of Western Ontario, an honours degree in Business Administration from the University of Windsor, and a professional designations as a Chartered Professional Accountant and Chartered Accountant. Scott was the Vice President of Finance and Administration for Exeter, Ontario based J.M.R. Electric Ltd., a leading full-service electrical and mechanical contractor. Prior to joining J.M.R., Scott was a Taxation Partner with MNP LLP, one of the largest chartered accountancy and advisory firms in Canada. Scott has also lectured and was a tutorial leader for the Canadian Institute of Chartered Accountants.